Add the missing windows to the updated version of the 1:537 scale USS Reliant kit from AMT. 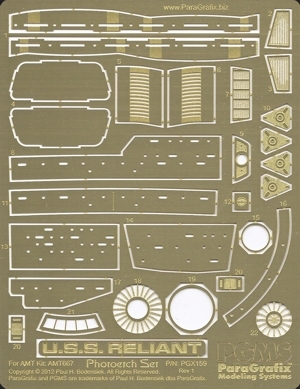 This set is designed and intended for the update release of the Reliant kit (part AMT667) not earlier ones that do not have the corrected hull thickness and other improvements. Some parts may work with the earlier releases, but we make no warranty of that.